It’s Tommy’s Turn – On Sunday March 13, at the Botanic Gardens in Melbourne we will be changing the life of a beautiful 2 year old boy. Tommy has Cerebral Palsy and severe vision impairment … but this does not stop him enjoying playing with his three older siblings and the sights and sounds of the outdoors. Tommy’s little body suffers from stiffness and weakness which means he needs specific support to be comfortable and safe in his everyday life. His loving family spend much of the day carrying Tommy which creates challenges for them and makes it difficult to get their everyday jobs and chores completed, not to mention the physical toll this takes. Soon Tommy will have outgrown his stroller and although he has been successfully trialled, the cost is more than his family can manage. JMF together with Craig Percival and his #8in8in8 challenge, in which he is completing 8 Ironman distance triathlon across 8 states in 8 consecutive days whilst raising money for children in wheelchairs, are granting Tommy a Zippie Iris Manual wheelchair. This $8945 grant will enable Tommy access to the community, the support he needs to sit comfortably upright, inclusion and engagement in his every day life. Two year old Tommy is about to receive a life changing grant … His very first wheelchair that will not only change his life but that of his loving families. Support Craig Percival by donating to #8in8in8. 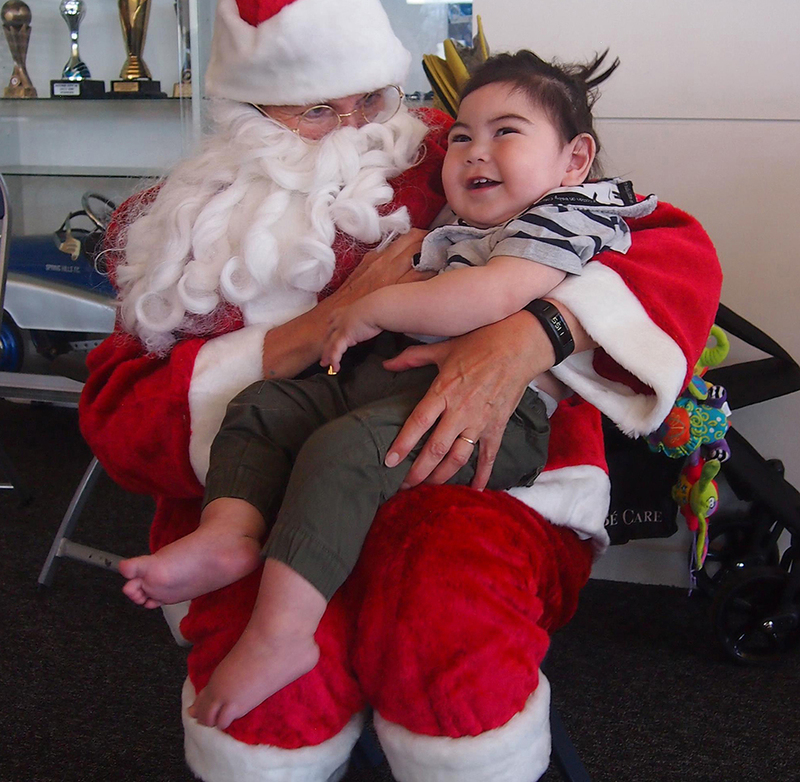 Read his story and be inspired by the challenge he has set himself to help us change the lives of children like Tommy across Australia. An update to celebrate International Wheelchair Day! What better way to celebrate today than to share a special update from Talitha who was a grant recipient from our JMF Kids 4 Kids 2015 presentation. She melted all our hearts with her adorable smile and cheeky personality. We love getting updates from our families so we can see and share with you the amazing changes that our grants have on the lives of the children we help. We were so excited to receive this update from Talitha’s mum. Thank you so much for your generous funding of supporting Talitha starting school and giving her an opportunity to playing independently. The drum set was a huge hit! Thank you so much! It came just in time for Christmas. Talitha playing the drums on her Band Jam musical unit which was part of the Grant she received. With over 75 participants this year raising almost $25,000 across Australia the program is only going to be bigger and better in 2016. We are looking forward to working with our partners Hyundai Help for Kids, Boost Foundation, June Canavan Foundation and Triathlon Australia again who generously donated in excess of $45,000 towards JMF Kids 4 Kids. A BIG JMF thanks goes to the Armadale Allstars from Armadale Primary School in Melbourne and the team from St Paul’s Grammar who collectively raised in excess of $12,000. An update from the Baker’s was a great way start for JMF on Australia Day. Brodie and his grandparents have been a special part of the JMF family for a long time and we have loved watching him grow into the incredible young man we saw again late last year at the JMF Kids 4 Kids presentation at Armadale Primary school. We granted the Baker’s $8000 towards bathroom modifications so that Brodie could continue to be bathed at home and ensure a safe environment for everyone. 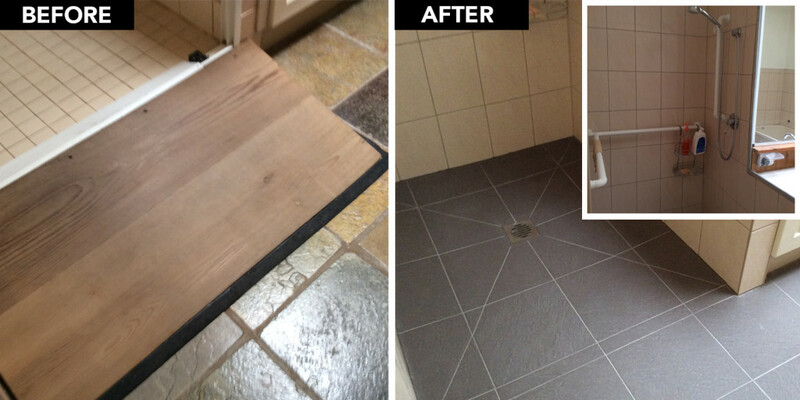 Jenny and Andy sent us these before and after pics of the transformation. Electrical switches were re-located to safer positions. Structural walls were secured for the new shower entrance. New tiles and safety grab rails were installed. 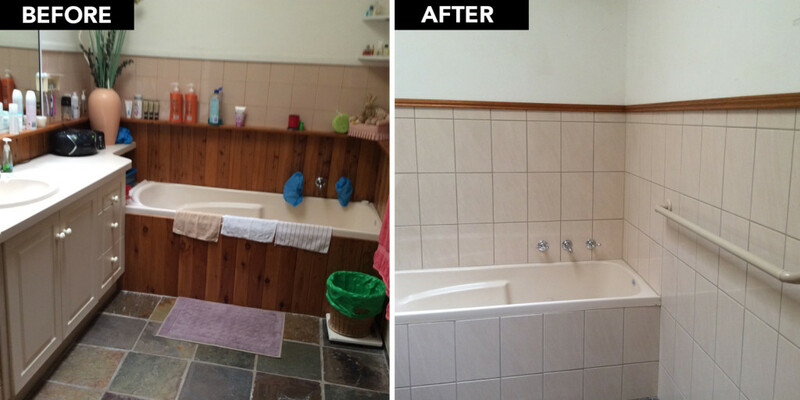 A new stepless entry was constructed for the shower to enable easy seamless access for Brodie and his carers. Safety grab rails from the bathroom leading into the shower were installed and a hand help shower rose to ensure a stress free and safe bathing experience for Brodie. We are looking forward to helping the Baker’s in the future to ensure Brodie continues to have every opportunity for independence in his everyday life. Thanks for the update Jenny, Andy and Brodie. We love being able to continue supporting our families to ensure all their needs are granted as their children grow and change. You last met Gennevieve in late 2014 where we granted her a brand new wheelchair to enable her better mobility, access to the community, independence and of course the ability to play with her five siblings. As you can see from the this latest picture of Gennevieve below, taken in December, she has had a big growth spurt and is rapidly growing into a beautiful young lady. JMF is granting Gennevieve the adjustments needed to widen the chair we purchased for her to ensure her ongoing comfort and support. A BIG Christmas smile from Gennevieve. Challenge 4 Change is a campaign that Stephane from Geelong Performance Coaching has instigated not only to raise money to change the lives of children living in wheelchairs but to share the stories of three athletes who are fighting through some serious injuries after serious bike crashes. I am a Director and level 2 Head Coach at Geelong Performance Coaching. I have coached full time for seven years in Australia and until recently my squad had never had a serious accident. Recently my world was turned upside down when three squad members were involved in life changing serious accidents, all in the space of a month. Late November 2015, one of my best friends, Craig Morgan was involved in a hit and run incident which nearly took his life and left him with extensive internal and external injuries, including his spine. He is on the road to recovery with a mission to hopefully learn to walk again. A month later Jo Monaghan was riding with us and her wheel picked up a piece of metal that sliced her fork off resulting in a heavy fall on her face. She was in a coma for 2 weeks. Her mission will be to hopefully learn to speak again. Lastly Zoe Adams, one of my most talented athletes, fell hard on her shoulder and broke her collarbone in three pieces, which required surgery and a long forced break. These crashes made me realize that everyone who rides a bike is vulnerable and nobody is safe from the possibility of a run in with a motorist or a freak accident. These accidents have affected me deeply as a coach, a cyclist and a person and not a day goes by where they are not in my thoughts. Please help my squad and I raise some money for the John Maclean Foundation who exists to change the lives of young Australians who live in wheelchairs. The money they raise goes towards purchasing equipment and making modifications to cars and homes to ensure that these children and their families remain active and included in their everyday lives. I want to raise money for young Australian’s who live in wheelchairs and bring them financial support to help rebuild and modify their lifestyle. I am challenging myself to break 9 hours at IRONMAN New Zealand and or IRONMAN WA for the first time at the age of 40. Every donation will make me push myself even harder to reach this goal and if I come in under 9 hours I would like to encourage you to double your donation! Help Stephane achieve his goal and donate today! An incredible man and athlete has set himself an incredible challenge, something that has never been attempted here in Australia … Eight consecutive Ironman distance triathlons, in Eight consecutive days across Eight States and Territories in Australia! Not only is he testing the limits of what is possible physically he is doing this to raise money for children across Australia who live in wheelchairs to provide equipment for them to be able to chase their own dreams in everyday life. Craig will be raising money for The John Maclean Foundation during this epic journey. We have interest from supporters to not only join Craig on different legs of his journey and support him through what will be a gruelling challenge but also help us raise money to inspire and assist families with children in wheelchairs across Australia chase their dreams. Melbourne endurance coach and ultraman athlete Craig Percival has announced that he will be attempting an Australian first in the triathlon world. In March 2016, he will attempt to complete 8 full “ironman” distance triathlons in all 8 states and territories of Australia in 8 consecutive days. While attempting this incredible test of the human ability, he will also be raising money for a cause close to his heart, the John Maclean Foundation. Renowned as one of the world’s toughest endurance events, the “Iron distance” triathlon comprises a 3.8k swim, 180.2k bike ride and 42.2k run. For most athletes, a single Ironman event is considered a major life achievement. Only a handful have ever attempted to complete multiple races over consecutive days. While the ‘8in8in8’ will be an incredible athletic feat, it also presents an enormous logistical challenge. Craig is currently designing the 8 courses he will cover in each state/territory, as well as co-ordinating flights to ensure he has sufficient time to complete each event, eat, recover, and prepare for the next day. Craig first dreamt up his ‘8in8in8’ goal after finishing second at the Ultraman World Championship in Hawaii last year. Following his success in Hawaii, Craig assisted in bringing Ultraman to Australia for the first time in May 2015. At the same time, he started thinking about just how far he could push himself mentally and physically. Craig said, “I’ve always been fascinated by what people can achieve when they set their minds to it. That’s why I created (my business) No Limits Endurance – to assist and guide people in breaking through barriers, believing in themselves and doing things that they can look back on with enormous pride. “I’ve been very fortunate throughout my athletic career to do some amazing events and training. In taking on 8in8in8, I wanted to find a way to give back to the triathlon community that has been so fundamental to my life. “John Maclean is one of my personal heroes. What that guy has achieved – as an athlete, as a person, and through his foundation – is just phenomenal. The thought of using my physical ability to raise money for young Australians living in wheelchairs, who are not able to swim, bike and run like me, motivates me. The money raised will help grant these children equipment they need to remain active and included in their everyday lives”. John Maclean said, “On behalf of The John Maclean Foundation we are humbled that Craig is supporting us. With the money and awareness he raises through this epic challenge he will be helping us continue to change the lives of young children in wheelchairs across Australia. “On a personal level and as an athlete that has challenged myself beyond what I thought was possible both physically and mentally, I wish Craig the best of luck. Through my experience, if you surround yourself with the support of people who believe in you, you can realise your dreams”. Craig will be starting his extreme endurance challenge on the 6th March in Darwin and will then complete consecutive ironman distance events in Perth, Adelaide, Hobart, Canberra, Sydney, Brisbane before finishing in Melbourne, his hometown, on 13th March. Craig Percival is a husband, a dad of two young chidren, and a world-class endurance athlete, competing most recently in the 2014 Ultraman World Championship event in Hawaii where he placed second overall. He has completed over 20 Ironman triathlons, including four World Championship events, and has been coaching elite and beginner endurance athletes for the past 14 years. [vc_row][vc_column][vc_column_text]To celebrate the end of this years #JMFKids4Kids and #BigKids4Kids Challenge I am sharing one of our participants winning videos. This video shares with you her most favourite part of the challenge and just how much she loved every step of the journey. An enormous JMF thank you to all the participants in this years challenge. 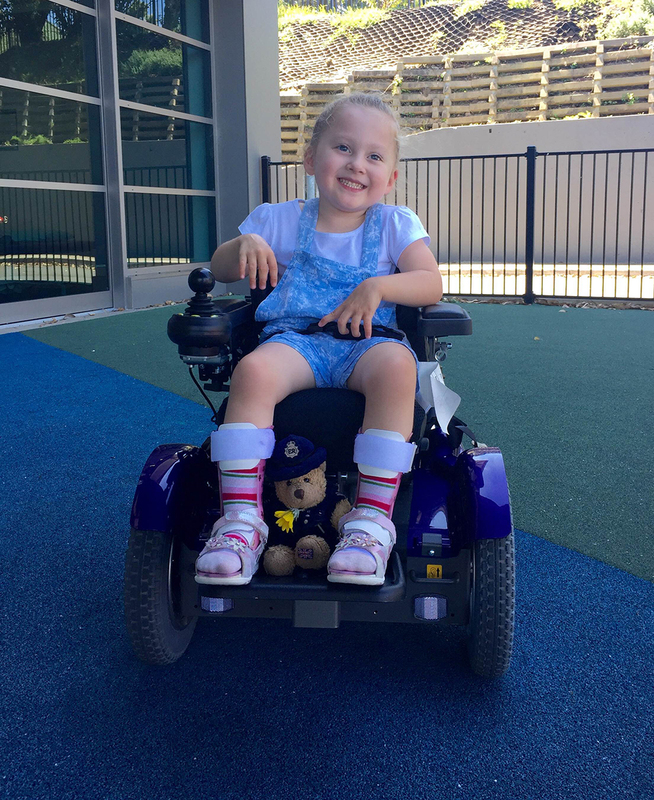 Together you have helped raise over $21,000 that will assist us in changing the lives of children living in wheelchairs around Australia. We look forward to seeing you all back again in 2016. Granting this Fairy a Christmas wish! 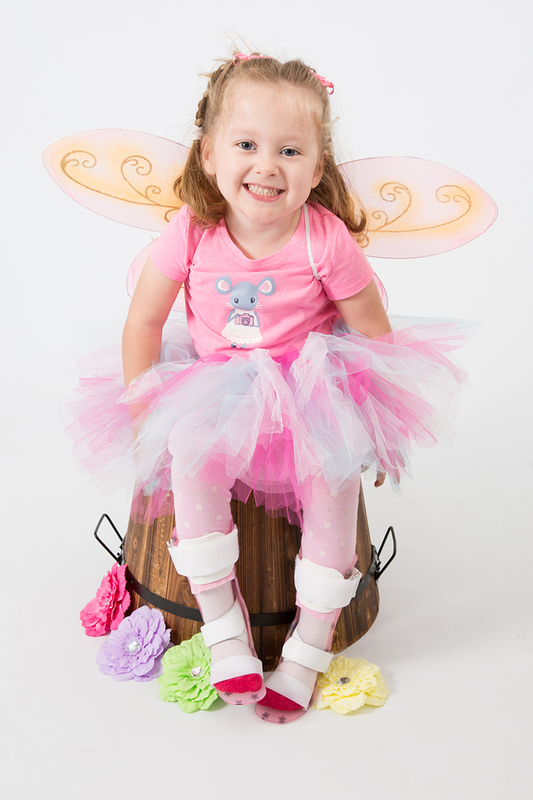 This little Fairy’s name is Avalon, she is four years old and has Cerebral Palsy which affects movement in her limbs and body. She lives at home with her mum and dad and goes to pre-school two days a week. 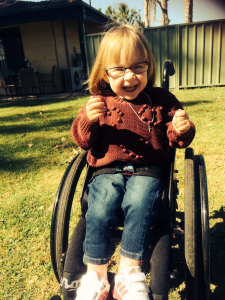 Avalon uses a a wheelchair to mobilise in the community and home. When it comes to a suitable seat she currently relies on a regular high chair which is insufficient in supporting her posture and positioning and does not help facilitate her participation in activities of daily living. Avalon’s sitting posture and ability to use her hands significantly impacts on her participation in everyday age appropriate activities such as drawing, painting, using the iPad, learning to feed herself with a spoon, communicating and socialising with her family and friends. JMF is granting Avalon a Jenx Junior Hi-Lo Chair which provides support and the perfect positioning to facilitate an active posture to participate in table top activities. Avalon can use t at the dinner table for mealtimes and at the kitchen bench to engage in meal prep and cooking activities with her parents. 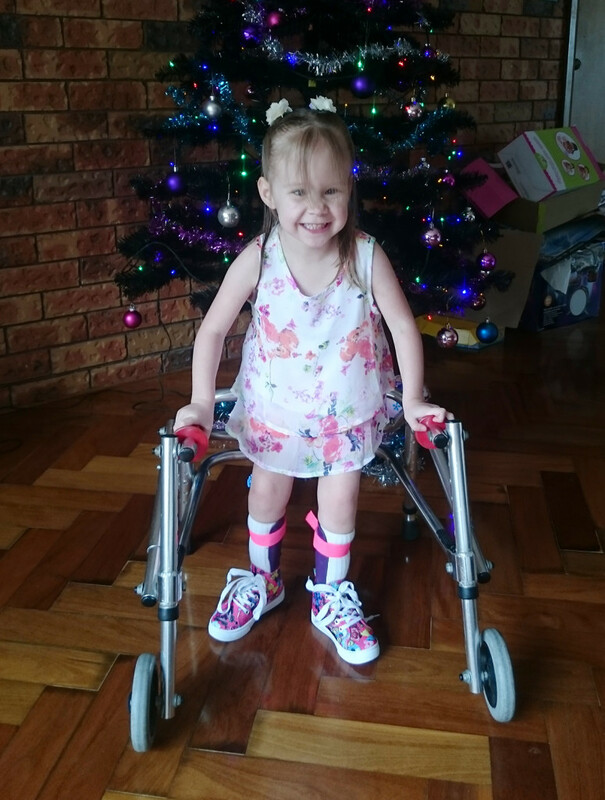 The chair will provide the opportunity to support Avalon with standing transfers as her physical abilities progress, promoting more independence with her mobility. Avalon’s family plan to use the chair when on holidays or out to restaurants to provide the opportunity for her to sit at a table in a restaurant independently. JMF hopes it arrives in time for Avalon to be able to enjoy Christmas breakfast, lunch and dinner at the table comfortably with her family. 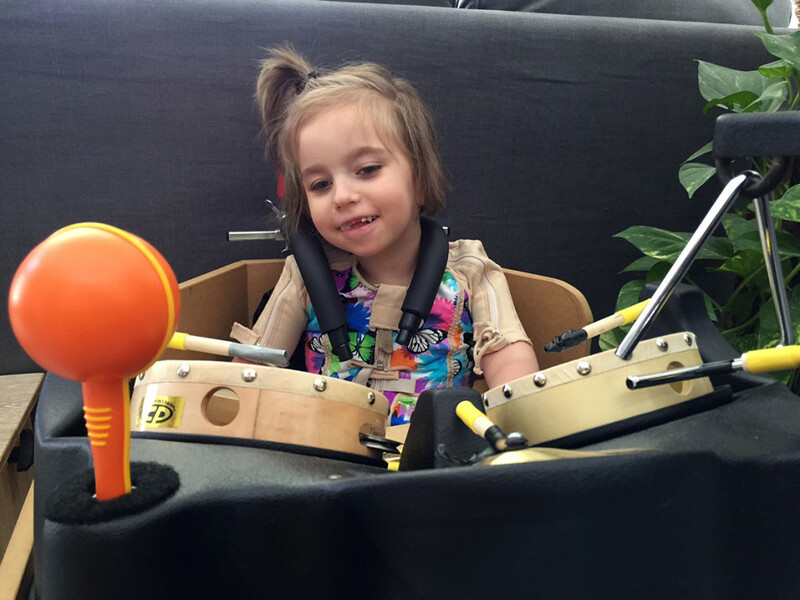 Little Avalon is an incredible little four year old girl who is not letting anything get in her way. Rose is ready to ride thanks to JMF Kids 4 Kids! [vc_row][vc_column][vc_column_text]Rose is ready to ride thanks to JMF Kids 4 Kids! Congratulations to all participants of JMF Kids 4 Kids and Big Kids 4 Kids, this is the difference you are making to Aussie children’s lives … Your hard work and donations are allowing children like Rose to enjoy the simplest of pleasures in life … riding a bike for the very first time! Rose was unable to attend our recent JMF Kids 4 Kids presentation at Armadale Primary school as she was not well. Her mum sent through this short clip of Rose having the first ride of her new Tricycle that was granted to her all thanks to all the JMF Kids 4 Kids and Big Kids 4 Kids participants.